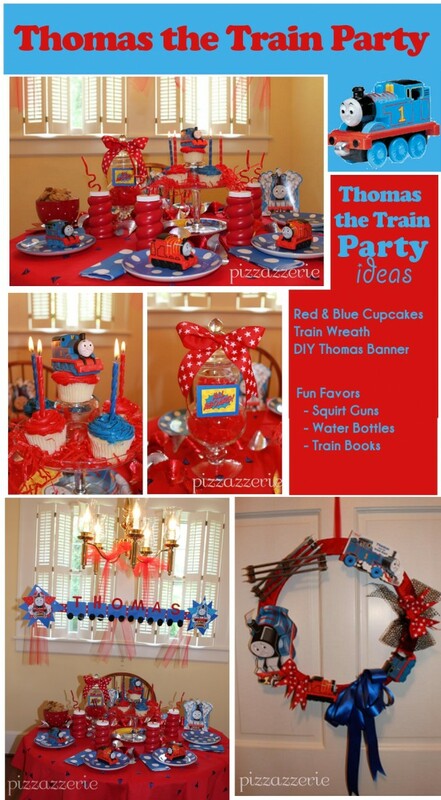 Thomas the Train Tank Party Ideas From a Mom! I decided to start this page because I happen to have a son who is a big Thomas fan. 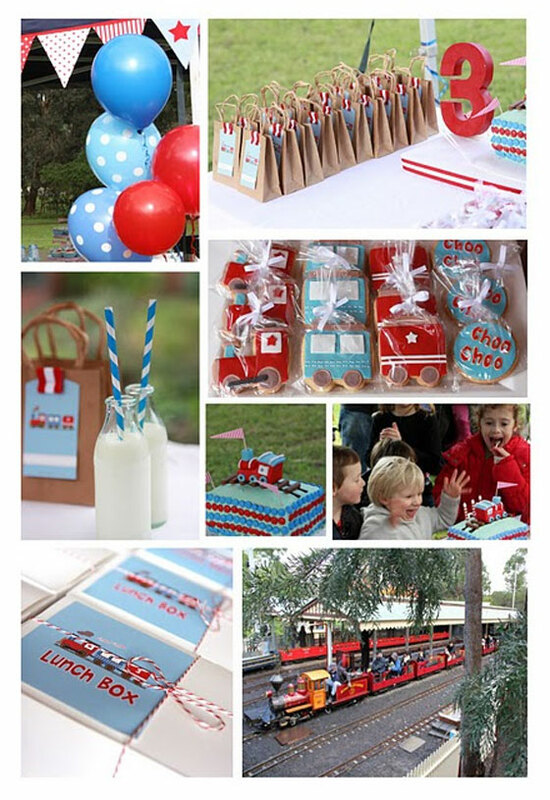 When I was planning his birthday, I found myself looking here and there for Thomas ideas and Train Party ideas. Here you will find all the resources I found while searching for good ideas. Also, I thought it would be nice to display and share some of the things I created or purchased for favors for his party. 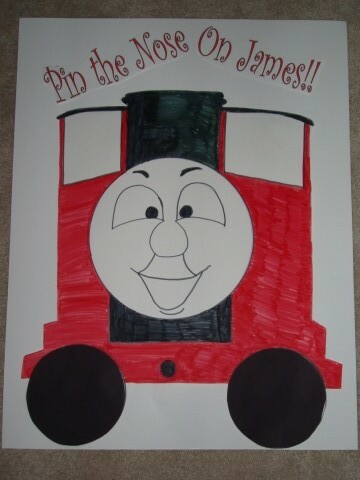 Maybe my ideas will help another parent who is starting to plan a Thomas or Train Themed Party!!! 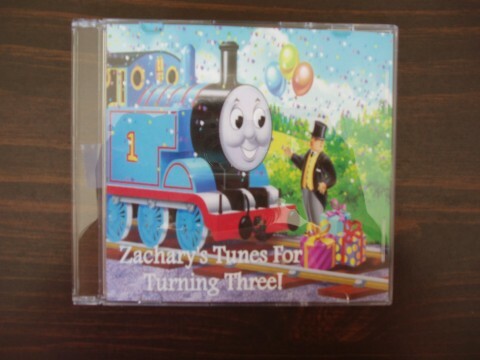 Also you will find links to great Thomas resources and some of our favorite Thomas products. Check out the free printables towards the bottom of the page. Have a choo-choo blast! 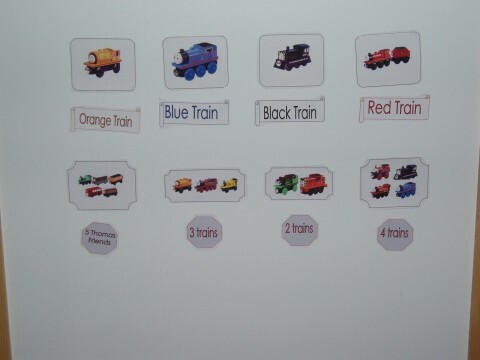 Many of the ideas found below can be used in the classrooom while doing a train unit!!! Let's Start with Invitation for Your Train Party!!! 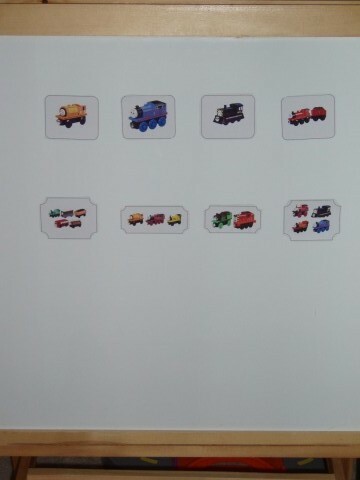 A Picture of the Invitation/ Train Ticket is above. I printed these on Magnets! You can purchase magnetic paper for your printer at your local office supply store or Walmart. You could also print these on cardstock if you choose. Once they are printed, cut them out and they look just like tickets. I used Publisher XP to create this file. You may purchase my publisher file XP through paypal. They print three per page along with the favor magnet. You will need to change the data (Party time, places, rsvp...)on the page by first moving the blue potion (overlay) over and then fixing the text. After the text is the way you like it, move the blue overlay back. Besides that everything else is ready to go! Please note: I DO NOT OFFER TECHNICAL HELP WITH THIS FILE (THAT IS WHY IT IS SO CHEAP!!). YOU MUST HAVE KNOWLEDGE OF PUBLISHER. If you do not have knowledge of publisher, purchase at your own risk or buy invites at another venue. Just print cut and place in a standard business envelope. You just need to have Publisher to purchase the file. The file is 6.00 and sent via email in an instant download once payment is complete. You must use Paypal to order. No returns or refunds. To make sure the file will work on your computer: click here to see if you can download this publisher file. If all works, you may use the button below to order. ONLY $6.00!!!! You may not reproduce these files and then sell a finished product or the file on any auction site or your own website. Thanks! 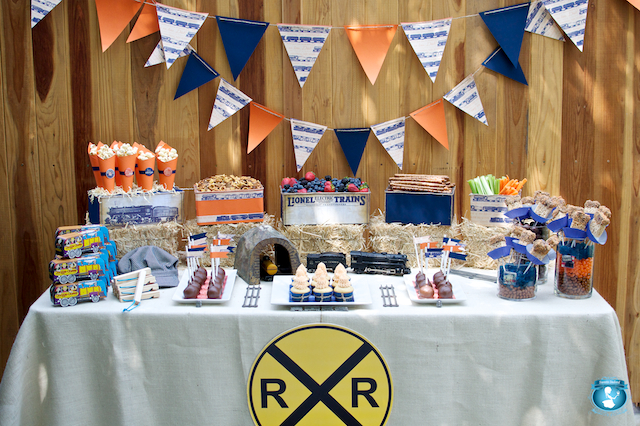 Custom Train Candybar Wrapper Printable!! Above is a picture of a wrapper I created. These make creative favors! You can order the file above for $19.95. It comes customized in a PDF file. All you have to do is print, cut, and wrap your bars. It will fits a regualr sized Hershey Bar. The bars can be purchased in bulk at Sams Club. You can also purchase the bars in groups of six at Walmart. Orders will arrive in your inbox in 24 hours or less after you email your custom print. Please email if you do not get it in 24 hours. Once you get your file, you may print as many wrappers as you need. Or Ready to Print Candybar Wrapper Instant Download!! These are the favor bags I made. I purchased small canvas bags from Oriental Trading. 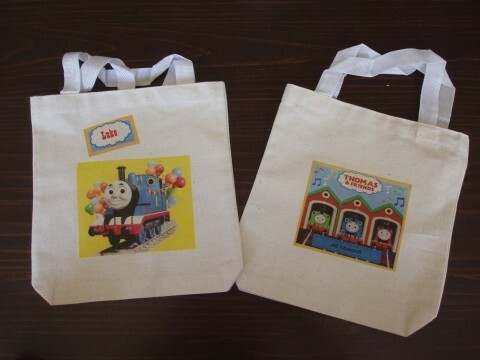 I printed the pictures on Iron On Transfer paper and then placed the graphics on the bags using my iron. I included the child's name on each bag. These are the CD's I placed in the bag. They included my sons favorite songs. 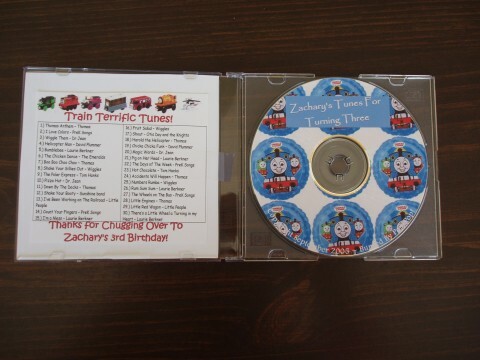 I made the CD's by taking his favorite songs from various CD's and burning them on to one CD. The first picture shows the inside with the songs listed and the CD. The second picture is the cover of the CD. ITunes and Amazon offer train songs if you search for those. I also included a notepad with a pen in each of the bags. I purchased notepads at my local dollar store in bulk. 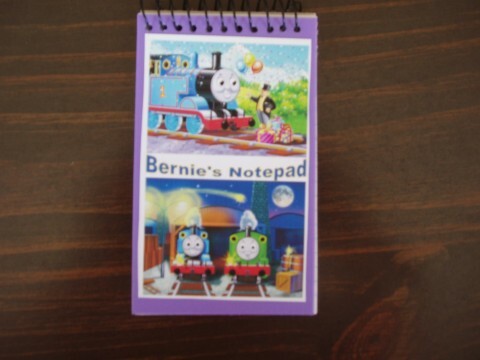 Then I printed the picture seen on sticker paper and stuck the paper on the notebook. As you can see, I made sure each child's name was on the notepad. You may download my notepad file for free. Of course you will need to change the names if you plan to use it. Here is a picture of everything I included in the favor bags. Most of the goodies were purchased through Oriental Trading. The train lollipop, the stencil, the race car, the stickers, and the motorcycle stamp were all purchased through OT. The whistle was found at Walmart in the party section of the store. The pens and notespads were purchased at the dollar store. Just a little game I made. Play like pin the tail on the donkey. Use stars and see if the kids can get a star on his nose. 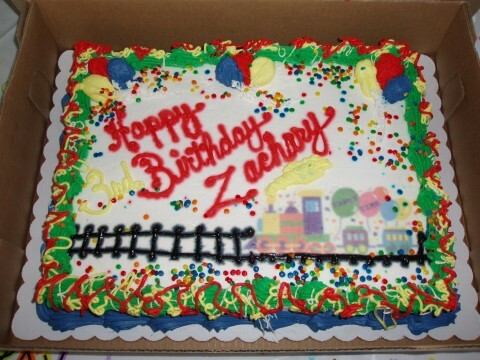 A train cake from Sams Club. Here are train cookies. You can purchase a train cookie cutter on Amazon. If you search on Ebay you may find someone selling Thomas cookie cutters or Thomas candy molds. 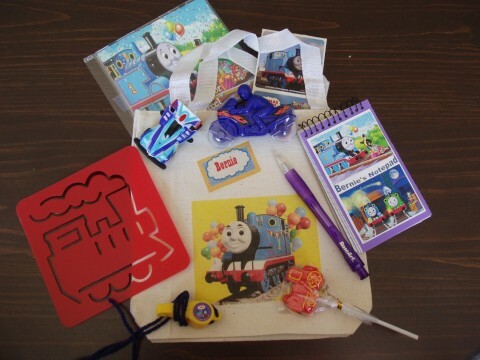 All of these make great treats for a Thomas fan!!!! 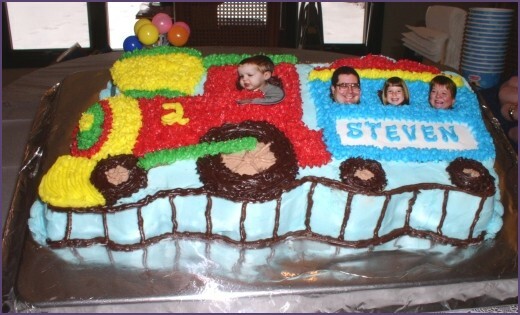 Train Cake - How to! the words to match under the picture. Have them place the words under the pictures. Or place the words on the board and habe them place the graphic next to the word. To the right is a picture of what a finished center would look like. You may print these files on magnetic paper and create your own activity. It is always a good idea to have a few train books handy to read at the party if you need something extra to do... Here are some of our faves!!! 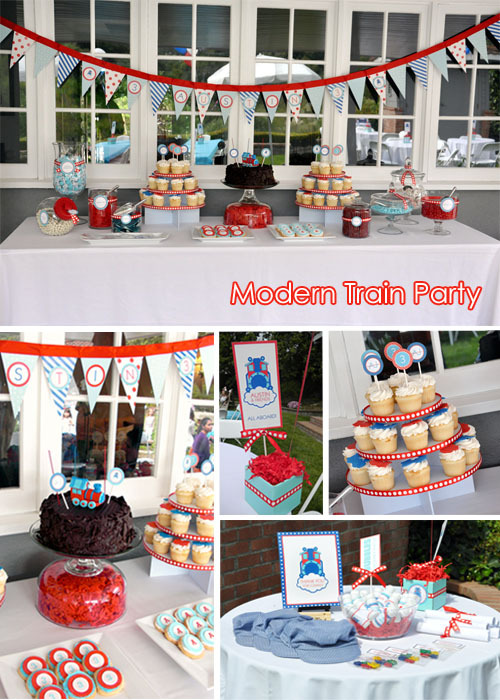 And some other party pictures online that made me say holly choo-choo! Check them out! This party is from Project Nursery. Check it out! Sweets Indeed Shares the Train party below. Be sure to check it out! Baby Bites Shares the fun they had at the Choo-Choo Party! 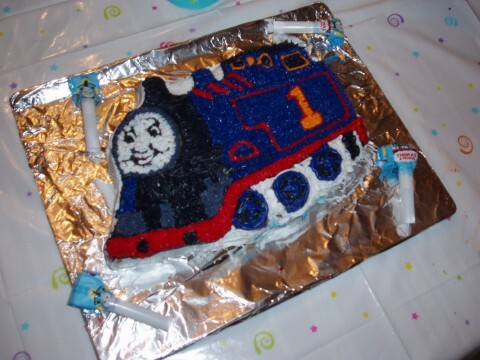 Pizzazzeria Shares a Great Thomas Party! I want to be there!!! To Use the Arrows Above To See Various Train Pages!